Carmyllie stone, being relatively smooth and easily split, was in demand for many centuries mostly for roof slates and buildings and by the end of the eighteenth century slate was transported to Fife, Perthshire and the Mearns. By the nineteenth century, when towns were expanding, pavement stones far exceeded the value of slate. 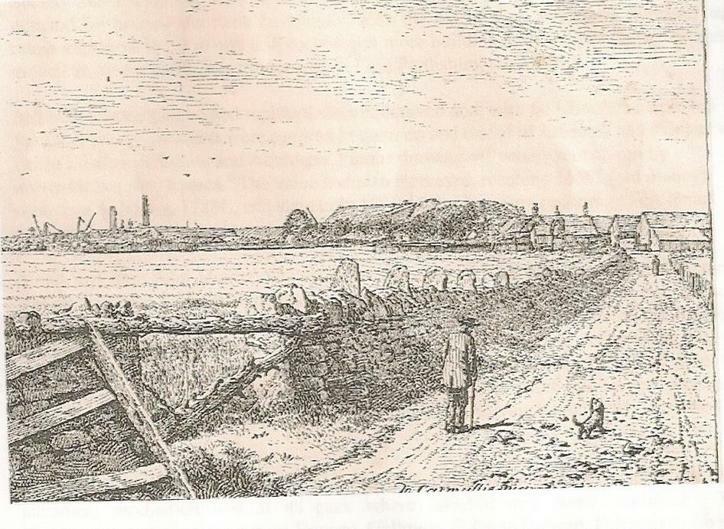 Production grew with the invention of a stone-planing machine and iron stone cutting circular sawfollowed by the opening of the railway line from Elliot to Carmyllie quarries, in 1855. This allowed the transport of more stone to most cities as well as overseas. By 1870 pavement production had reached a peak and 300-500 men were employed. Production declined after 1900 and the quarries closed before WW1. In 1922, under different management, the quarry production continued on a smaller scale, mostly carrying out repairs to steps and pillars. 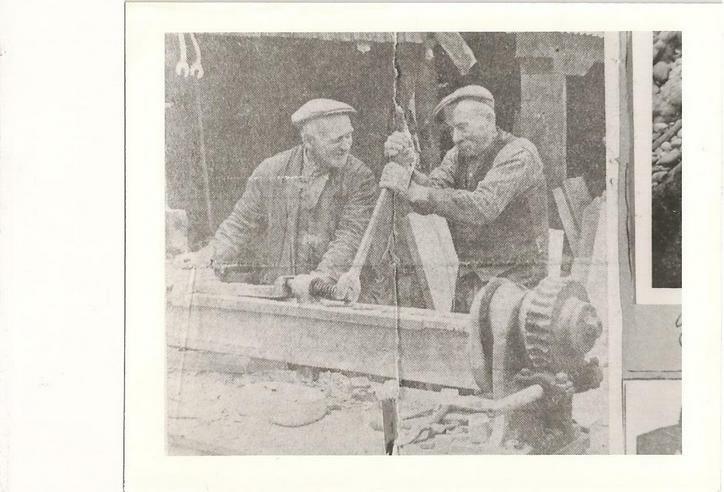 By 1938, sixteen were employed and after WW2 only a few men remained until the quarries closed in 1953.